You can hide the download button on both the full podcast player and the individual track player. Both the Smart Podcast Player and the Smart Track Player shortcode builders allow you to hide the download button. 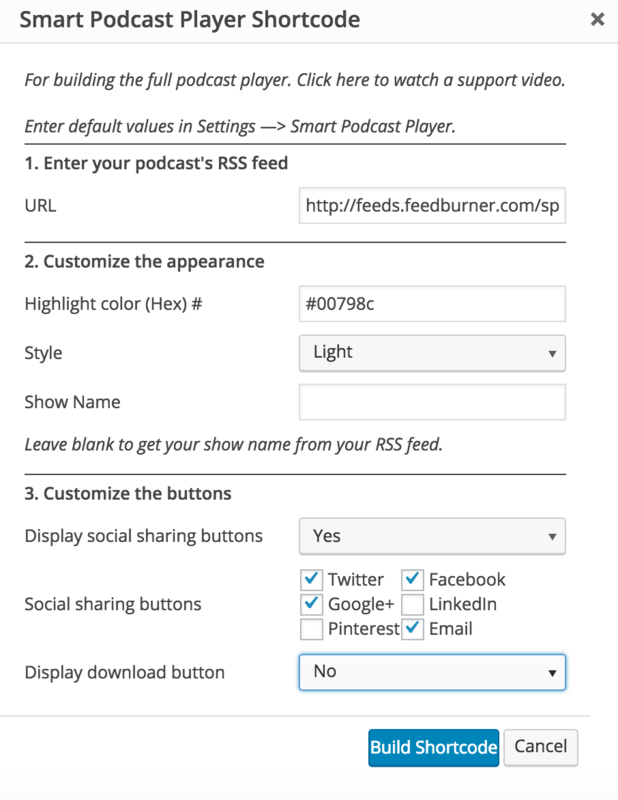 For the full tutorial on using the full podcast player, go to this post. For the full tutorial on using the individual track player, go to this post. In the shortcode builder, set Display download button to No. 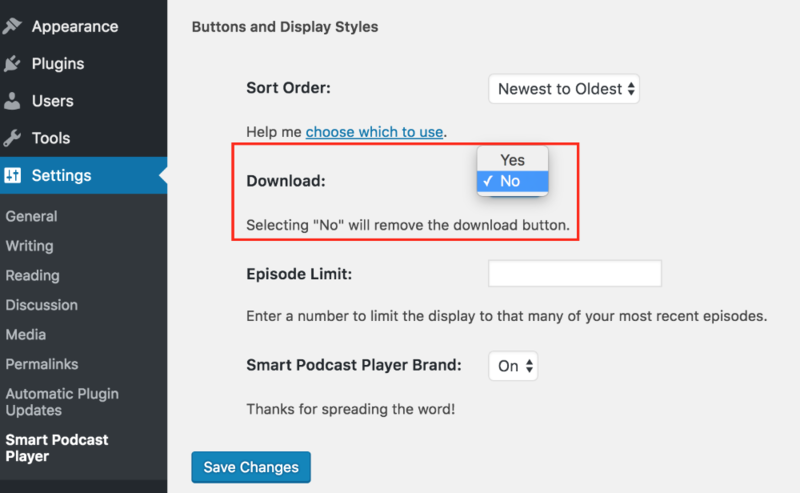 You can also adjust the universal settings for all smart podcast players and smart track players on your site via the Player Defaults menu.